(3) The shortest length can scale, it will save the space when pack hangers, and can save shipping cost. 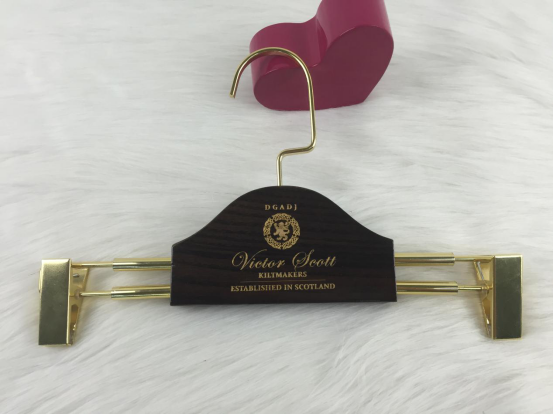 For this hanger item, use imported ash tree wood material, with special wood grains, nice painting surface, can see hanger’s surface wood grains very clear. 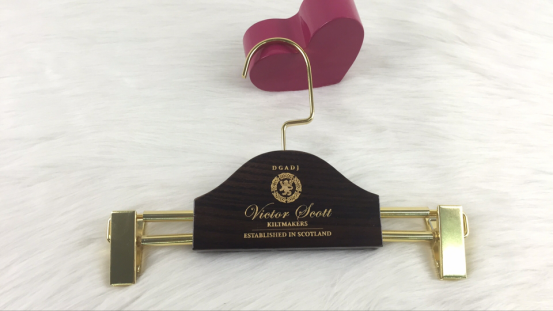 About logo, we laser engraved logo first, this kind of logo makes for a great three-dimensional sense, very impressive, and we also add gold color to match the metal accessory color, very luxury, this hanger shape-wood part also very creative. 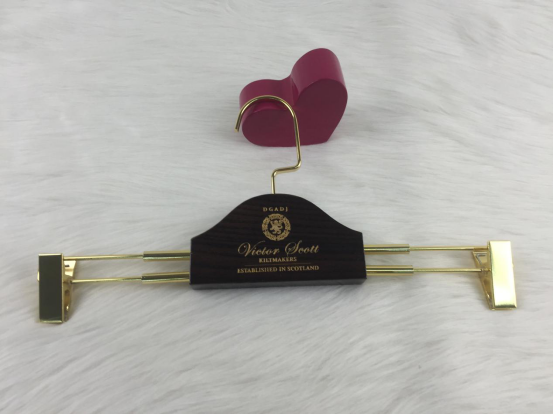 If you want we produce hanger shape,color and size according to your request, or you have design in hand, please do not hesitate to contact us, we will make your design sketch to real hangers, then display in your showroom and shop, will show the luxury and personality of your clothing brand.